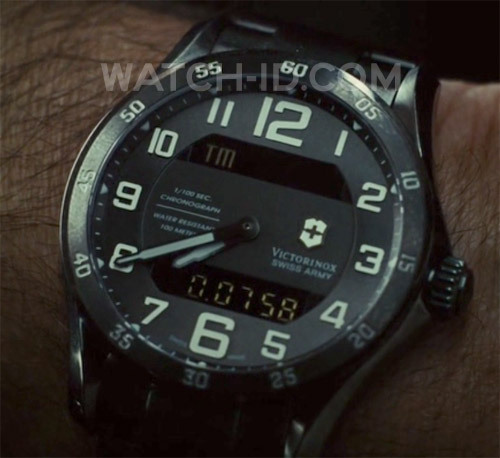 In the 2011 movie Source Code, Jake Gyllenhaal will wear a Victorinox Swiss Army Chrono Classic XLS MT (product code 241300) wristwatch. This watch with a 45mm diameter has a Stainless Steel case and bracelet with Gunmetal PVD and screw-in caseback. The dial features an analog and digital display with 2 LCD windows, countdown timer with alarm, digital chronograph and multi-lingual perpetual calendar. 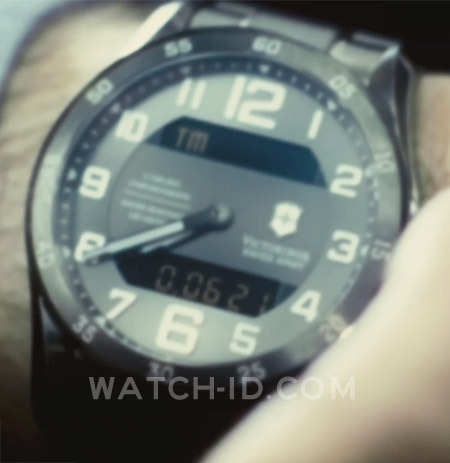 The screenshot of the watch on the left shows the LCD windows in coundown timer mode. In the movie, Jake will have to finish his objective within 8 minutes, so he will probably be using the countdown timer to see how much time he has left. 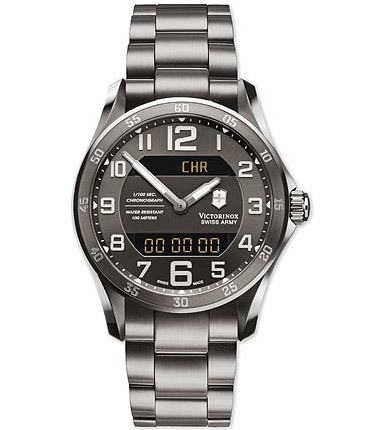 This watch is one of the most recent additions to the Victorinox Swiss Army watches. Pick up yours at Amazon.com for $713 or find it on eBay.